In Glenfield, Braunstone and Kirby Muxloe in 1603 there were 178 communicants and 4 recusants or nonconformists, three of whom were in Glenfield. In the Compton Census of 1676, Glenfield had 97 conformists, suggesting that the chapelries were not included within this figure, and four nonconformists. In 1687, Elizabeth Hinckes of Glenfield was included in a list of recusants and nonconformists. In response to Bishop Gibson’s inquiries of 1718, the rector reported that there were about 75 families in Glenfield and that the only dissenters in the parish were four families of Quakers. Their meetings were held once a month at the home of Ralph Hassall, their licensed Teacher, and they had only a small number of followers. By 1721 only one family of Quakers was reported to the bishop, but a monthly meeting was still being held at the house of Ralph Hassall, the speaker. In the Parish Records of St. Leonard’s Church Leicester, there are seven Quaker deaths recorded in Glenfield in the parish of Glenfield between 1729 and 1765. The only entry recording the place of burial is that of Ralph Hassold of Glenfield who died on the 16th day of the 2nd month in 1728, and was buried in his own burial ground at Glenfield. On 30 March 1818, Richard Hashold gave the part of his land used as a burial ground in trust to the Society of Friends, on condition that the part of the said land was kept as a grave yard and that it would not be used for any other purpose. A letter signed by James Ellis outlined details of a preparative meeting held on 6 May 1864, regarding authorisation for the sale of property left by Richard Hassold to the Society of Friends, reserving the grave yards to the Friends. This land and property was purchased by the Ellis sisters. Spinsters Mary Ellis, Hannah Ellis, Sarah Anne Ellis, and Sophia Ellis, all of Glenfield, jointly promised and agreed to produce all title deeds and documents relating to the piece of land and building at Glenfield for the purpose of showing the title of the owners of the piece of land formerly used as a grave yard, which continued to remain the property of the Society of Friends. A lease was agreed on 10 February 1882 between James Ellis of the Gynsills in Glenfield, lessor, and William Dalrymple of Glenfield, manager of the Leicester Provident Dispensary, lessee, on a piece of land adjoining the garden belonging to a property in Glenfield. This was the graveyard used by the Society of Friends, although there had not been any new burials in it for many years. A yearly rent of five shillings was payable from 1 January 1883. The lessee had to keep the premises in a neat and tidy manner, preserve the trees on the site, and was not to dig or break up the ground below the depth of 6 inches from the surface. On 27 January 1865, notification of sale was given regarding the property belonging to Richard Hassold’s Charity for the benefit of the Society of Friends. It comprised: a messuage or tenement formerly used as a malthouse, a coach house and stable, and a garden adjoining, containing one rood or thereabouts, in the occupation of Mary Ellis. It was proposed to be sold by the Trustees by private contract for the sum of £300. On 17 March 1865 authorisation of sale was given by the Charity Commission. The Old Quaker Meeting House was demolished in 1994. The Quaker burial ground was to the rear. It was in Main Street, in the Square. Protestant meeting houses were registered in Glenfield in 1794 at the house of Sampson Reid, in 1807 at William Stevenson’s house, and in 1809 at the house of Diana Marshall. In 1821 a small Wesleyan chapel was built on the site of the present Glenfield Methodist Church. By 1876 much larger building was needed due to the increase of the congregation. Plans were submitted to the quarterly meeting of the Bishop Street Circuit, of which Glenfield was a member. Mr. E. S. Ellis, Chairman of the Midland Railway Company, donated extra land to accommodate the new building and gave £50 to launch the project, and the congregation raised a further £209 so that the work could begin. 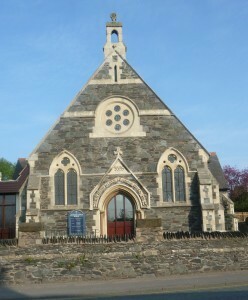 The new chapel opened in 1877. The pulpit was made from material obtained from Lutterworth church (where John Wyclif had been rector in the 14th century), but has now been rebuilt into a baptismal font. Due to the large number of young people attending the Sunday School, the members went on to raise £1,329 for a new building. The present Sunday School premises were opened in 1906. Membership of this church continued to increase and reached almost 100 by 1930. During the 1950s, the huge house-building programme in Glenfield created a new look to the village and presented challenges to the church and the old village. There were further extensions built between 1950 and the 1980s, including the link between the church and the schoolrooms. A major project of extensive refurbishment called ‘Focus 125’ began in the new millennium. The schoolroom was used as a temporary place of worship whilst the church was closed in early 2002 whilst the work took place. The chapel was re-opened and rededicated in October 2002. Renovation of the stonework on the outside continued in 2003. 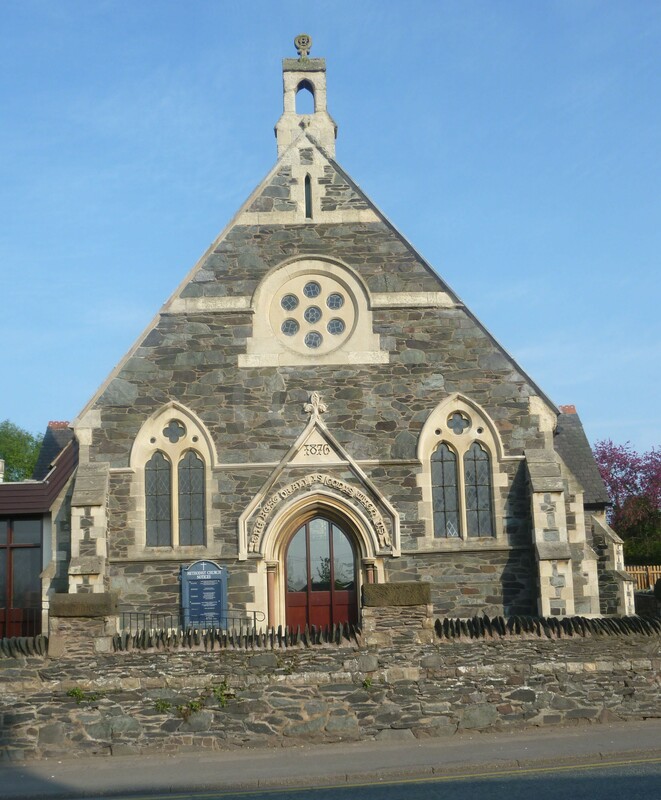 The first Christadelphian meeting was held in Glenfield in 1886 in the Co-operative Hall attended by 150 people. Bible meetings have been held every Sunday since at various locations including the Women’s Institute, the Memorial Hall, and at present meetings are held in the Scout Hut in Stamford Street despite falling numbers in the congregation. In 1877 there was a bitter dispute raging over burials of nonconformists in the parish burial ground in the churchyard at St. Peter’s Church. Dissenting ministers wanted to take a service in the churchyard for one of their own flock. In 2012, the parish Church of St. Peter’s and the Methodist Church hold some of their services jointly together. Getting to know about the life of each church is very much encouraged, as well as being part of the community of Glenfield. Both churches have their own magazine, and the history of the each churches in Glenfield is included in a pamphlet ‘An introduction to the history of the two churches of Glenfield’, which also gives the times of the services in each church. Calendar of State Papers, Domestic, 1686-7, p. 379.